Thank you for another great year in Ghana! In Ghana, we were honoured to work with many partners in 2017. Together with Ghana Health Services, Standard Chartered Bank, Ghana College of Physicians and Surgeons and Swiss Red Cross, we communicated the results of the National Blindness and Visual Impairment study — the first of its kind in the country. We’re excited about this study because it provides concrete data that we can use to advocate for eye health care. 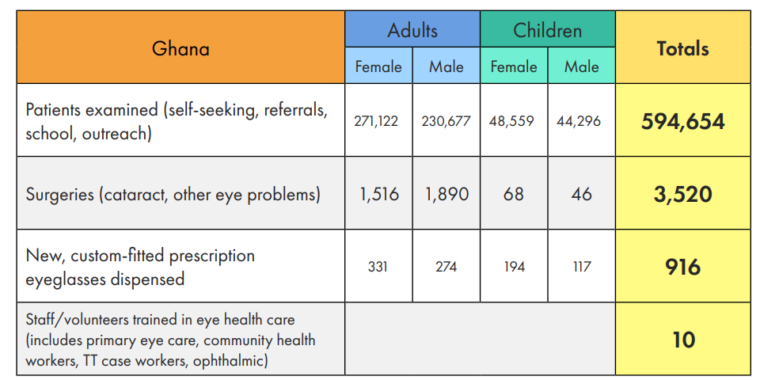 We implemented our eye health care model for the first time in Mfantseman Municipal District in Ghana’s Central Region last fall. 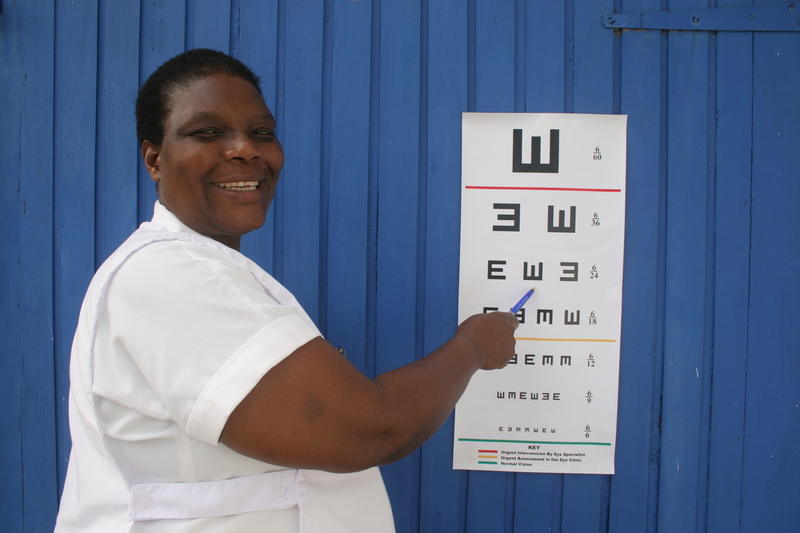 So far, we’ve completed door-to-door eye health surveys in 20 communities in the Abeadze Dominase Sub-District. We also launched the Ophthalmic Nursing School Project. Working with Standard Chartered Bank, this project promises to strengthen ophthalmic nursing in Ghana. The program will launch at Ghana’s only Ophthalmic Nursing School in Korle-Bu Teaching Hospital in Accra. We aim to elevate the nursing training program from diploma to degree level. With our partners we’ll develop a new nursing curriculum. The project will establish links between three ophthalmic nursing schools in Ghana and the United Kingdom. Thanks to our donor investment this project promises to increase the quality of eye care in the country. We’re also pleased to announce the successful completion of another project with partner Standard Chartered Bank. The five-year project spanned 35 districts over 10 regions in Ghana, and included 35 district hospitals. During this project, we equipped 18 partner hospitals with eye care equipment. Our project awareness campaigns covered 75 percent of the area’s population. We achieved an outstanding 300 percent increase of patients accessing and receiving eye care. 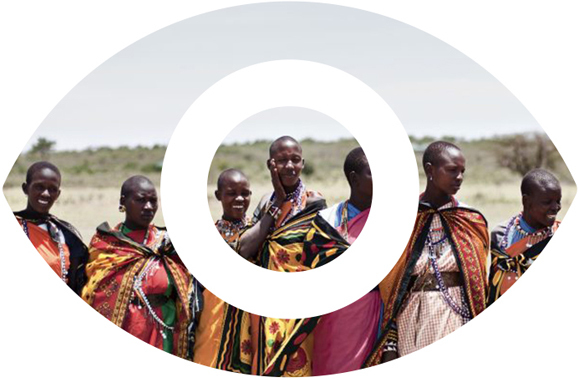 Thank you, you’ve helped us make real progress in eliminating avoidable blindness.